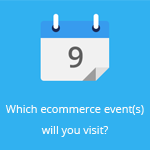 October 11, 2018 by Ecommerce News. About Marketplaces with tags Germany. 3674 views. Although ecommerce in Germany continued to increase last year, the growth is increasingly shifting to the top online retailers. Smaller online stores in Germany can hardly grow anymore. This is shown by a recent EHI study. Last year, the 1,000 top-selling online stores in Germany generated revenue worth 42.8 billion euros. That’s an increase of 8.1 percent compared to the previous year. But there’s a worrying development going on in Germany, Internet World Business writes. 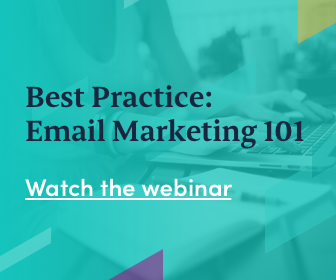 “The growth is increasingly shifting to the top of the ecommerce, an increase in sales is becoming increasingly difficult for smaller online retailers”, the blog comments. 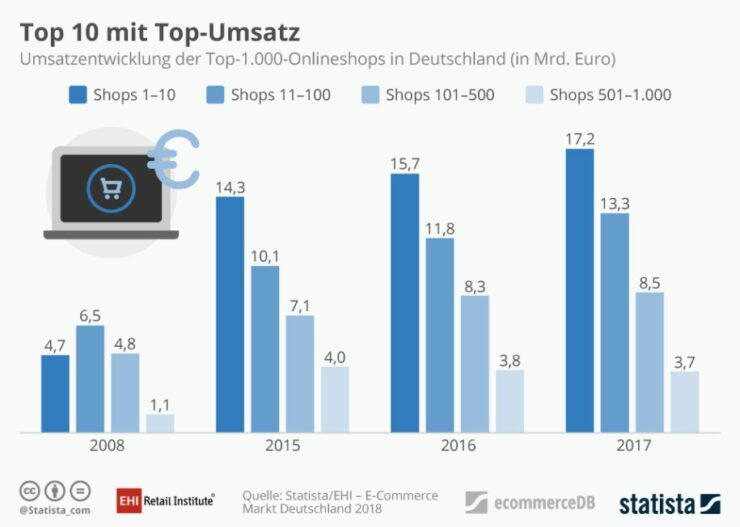 As we’ve mentioned last month, the top 3 of online shops in Germany account for 43 percent of the top 100’s total sales. When we take a look at the total revenue generated by the thousand biggest online stores, 17.2 billion euros was generated by the top 10, 13.3 billion was generated by the stores that ranked 11 to 100, while 8.5 billion was generated by shops 101 to 500. And finally, 3.7 billion euros was generated by the second half of the top 1000. If you take a look at the graph above, you can see clearly the staggering development of the shops ranked 501 to 1,000. Ten years ago, its online revenue was worth 1.1 billion euros, which increased to 4 billion in 2015. But three years later, it’s only at 3.7 billion. In the meantime, the top ten saw its total online revenue increase from 4.7 billion euros in 2008, to 14.3 billion in 2015 and 17.2 billion last year. Internet World Business also notices that after a decline in previous years, more online retailers are using marketplaces as an additional sales channel again. As a matter of fact, 43 percent of the top 1,000 online shops in Germany are active on Amazon, while 35 percent is active on eBay. “Market growth is driven disproportionately by the top-selling retailers, and we are seeing an overall increase of marketplace activity, with more and more bigger online retailers operating marketplaces themselves, which are increasingly being used by others to benefit from a greater reach”, data analyst Christoph Langenberg from EHI comments.